One of the reasons I write this blog is to examine my own reactions to what I read. 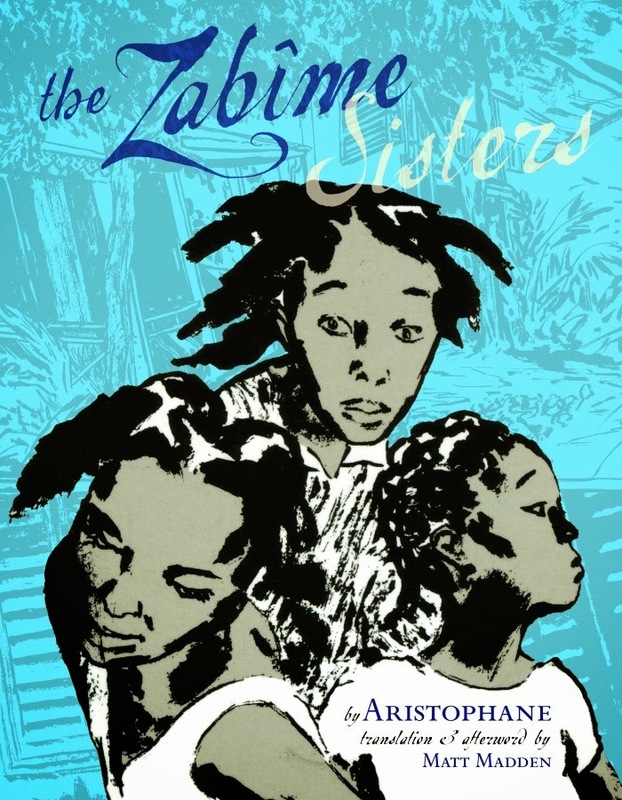 So, in the interests of examination, I'm going to write some stuff down about The Zabime Sisters, even though it's hard to come by anything that's not "well, it was there, and I read it." I'm sure everyone has experiences like this while reading; something doesn't catch, despite the feeling that it should have and clearly has for others, and one is not quite sure why. This is one of those graphic novels that I really feel like I should like. I wanted badly to like it and I feel a little inadequate that I don't. It's serious art, it's different, it is a slice-of-life piece. It's a piece of work that is critically acclaimed and has lots to recommend it. And it's not that I thought I didn't "get" it... I got it. I am pretty sure. I just didn't fall in love with it, I didn't have raptures over it. I understand it, I ... just ... am not even ambivalent. I have no visceral reaction. I wasn't even bored by it. It just landed on my consciousness, stuck there for a bit, and then quietly moved on. The Zabime Sisters follows three girls on the cusp of growing up through the course of one summer day. The inkwork is very heavy, the perspectives changeable and interesting, though the artwork didn't really do much for me. I am extremely aware of my own limitations here; I don't know enough about graphic novels, comics, art history, etc. to have any critical opinion on the panels in a graphic novel. I know what I tend to prefer, but I think I also have a fairly wide range of taste. There was something about the artwork that I found a bit alienating, and maybe that was part of the issue. It was deliberately distancing and disorienting, I think, in some places so full of movement as to be almost alarming. The story itself is unsentimental to the extreme, in that again, there is a distance, and it picks up and leaves off very abruptly -- perhaps the best example of slice-of-life storytelling I've ever encountered. Except that there was a lot of writing that felt like it was trying to create some sort of connection with the reader, but failing miserably. The text reports a lot on the inner workings of the characters, but in a way that doesn't really feel authentic but seems like it is trying to be authentic. It felt awkward, unmoored in anything, and the turn of phrase was often strange enough to draw attention to itself. Which makes me wonder if it was a problem of translation, versus the original French text. Or maybe it was trying to do something that didn't work for me. Which is what it comes down to, I think. I think for the right people, this is probably a wonderful reading experience. It's just not right for me, and instead of being something I disliked, it just fell flat. Disappointing, in that I wanted very much to like this book. Have any of you read it? What did you think? What am I missing? Or did I get it, and it just fell flat anyway?